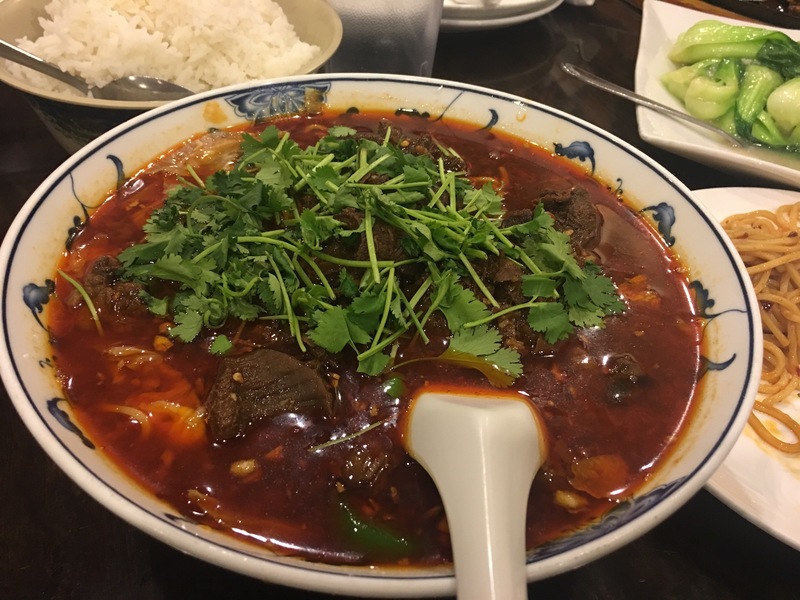 Sichuan Chili Chinese Restaurant (A Must Eat) – Go There. Try That. 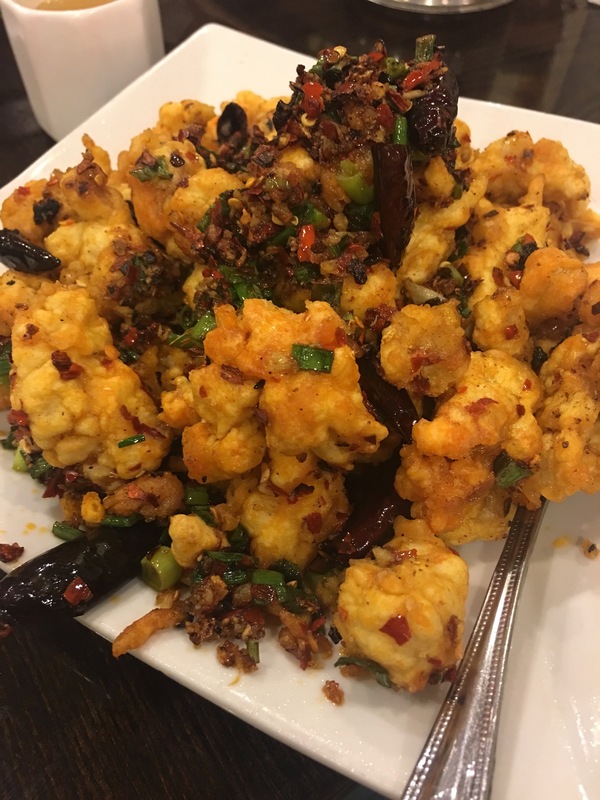 Located on Reading Road in a modest strip mall, the flavors at Sichuan Chili are anything but small. This Chinese restaurant brings the heat (in all the right ways)! 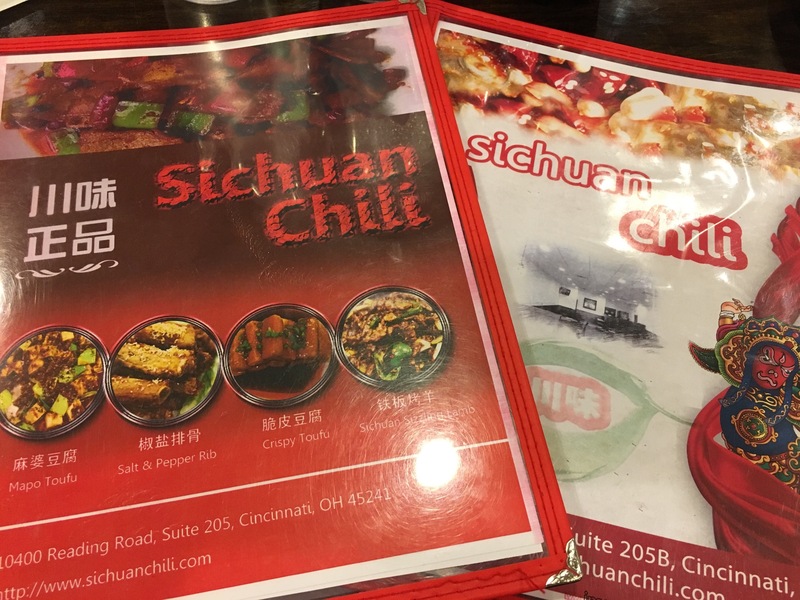 Diners can order from two menus at Sichuan Chili. 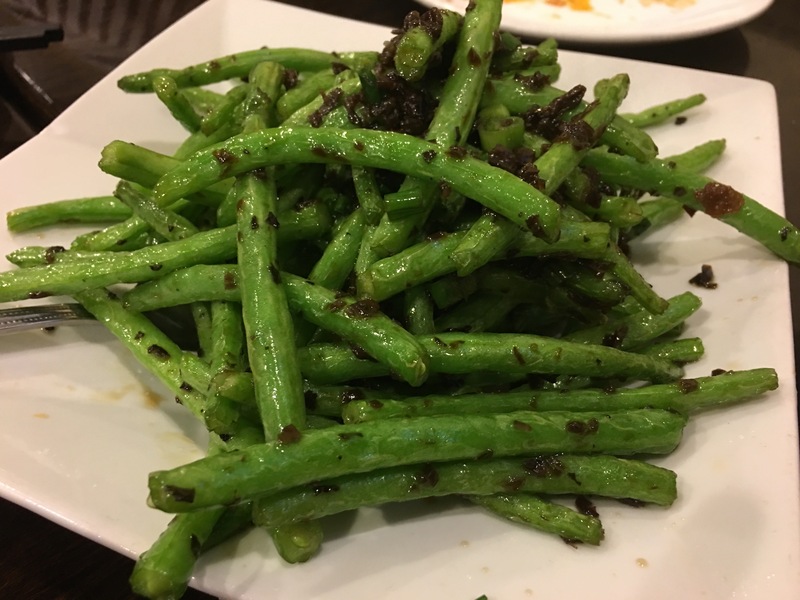 One highlights the authentic Chinese dishes of the Sichuan providence and the other features what we Americans would call traditional Chinese fare. And, let me say, I am picky about Chinese restaurants and thus I don’t eat it as often as I’d like. Sichuan Chili is the game changer. Stewed Beef with Noodles- I don’t know exactly what this dish is, but it is a-maz-ing. Buyer be warned, the heat is intense, but worth every single bite. So much flavor in that broth. Sautéed Green Beans- Best green beans I’ve ever had. Hands down. Some addictive spice in there. Sichuan Mini Hotpot with Beef- This one finishes cooking right in front of you. The broth is rich and packed with spice. You also have a choice about the type of meat and the vegetables included in this dish. Garlic Bok Choy- I’ve never eaten bok choy that wasn’t part of a stir-fry. Cooked like this, it stands on its own perfectly. The bok choy is the star and I devoured the plate. Sichuan Mala Chicken- This one has chili peppers and Sichuan peppercorns; it’s the kind of heat that hits you as you go and kind of makes your tongue numb. It sounds strange, but it’s addictive. I think in this case, pictures really can say vastly more than my limited words. My recommendation? You just have to try it for yourself. At Sichuan Chili, you can eat family style. This is a great place to go with a group; pass the dishes around the table and everyone feasts. Just remember, if it says spicy, it is indeed spicy! I can’t say it enough- this Chinese restaurant is the REAL DEAL! 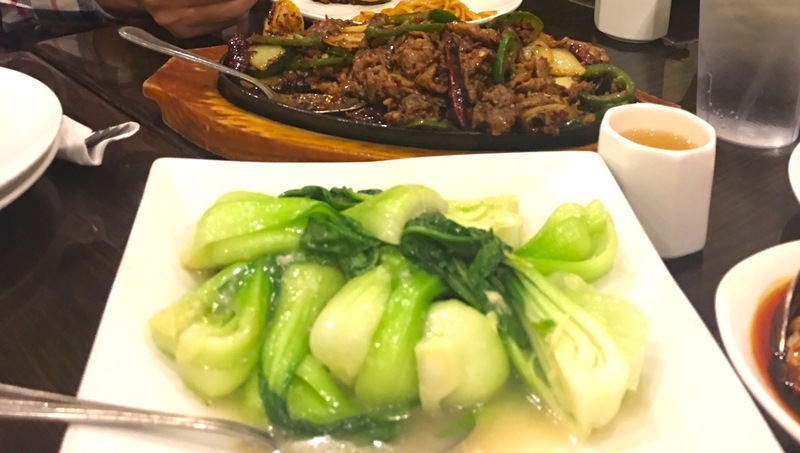 I am often the minority diner at Sichuan Chili, and to me, that says a great deal about how good (and authentic) the food is. 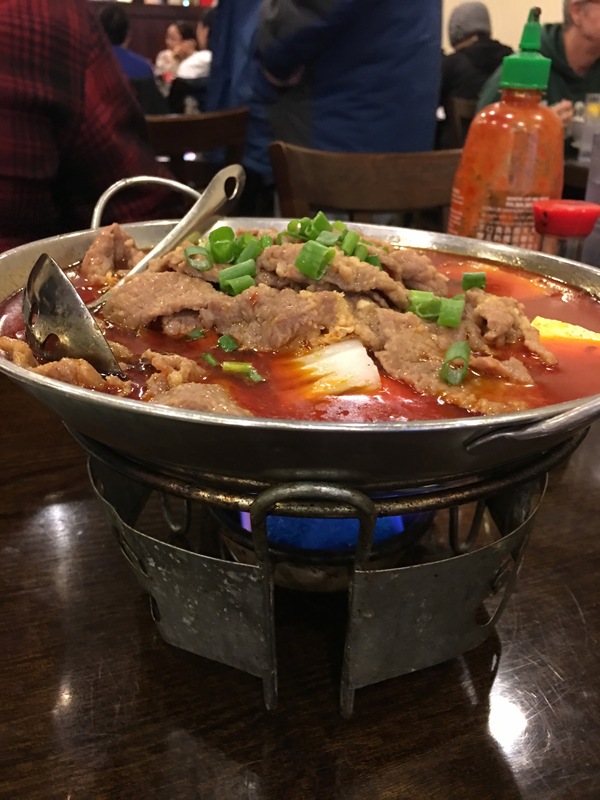 GO THERE (Sichuan Chili in Sharonville)! TRY THAT (Bok Choy, Garlic Green Beans, Stewed Beef with Noodles)! Looks so yummy!!! I can’t wait to go there and try it myself!